We are at your disposal by e-mail and telephone to inform you. Lithograph illustrated by Roger Broders and printed by Cornille & Serre. 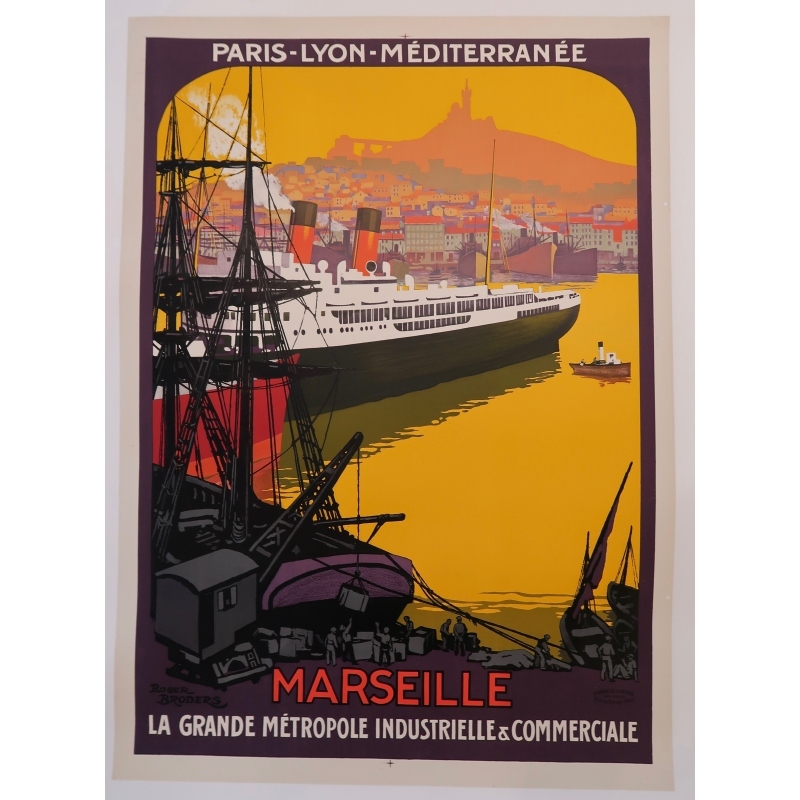 This poster was used after the 1922 exhibition with another text: "Marseille the Great Industrial and Commercial Metropolis" (same format and printer). An adaptation was then made by the printer Maréchal in Paris format 27 x 40 (different colors, "Paris Lyon Méditerranée" superimposed on a yellow background).